Hello..! My Name is Yoraima, Happy afternoon to all those wonderful people who are part of this beautiful space @steemchurch, it is to make known the first Church of Blockchain. For some time now I have been following his very interesting @steemchurch publications full of beautiful values ​​strengthening the faith of God and in our family. I am one of those who think that nothing is chance in life, everything is purpose and will of God, my beginnings in steemit was a few months ago since my husband was the one who told me about this great and wonderful space that I have known about , he told me about his friend and colleague @ emiliocabrera, their experience, positive contributions and from this publication I take this opportunity to greet you Emilio, send you blessings for all that work you have been doing. My husband has told me about the great project "Leaving Traces of Love" to me personally I find it very interesting, I instantly identify with that great adventure because I see it but in a good way. We have to keep in mind that God has given each of us a special tool to work with, a key for each problem, a light for our shadows and a plan for each morning. And that's why I think it's a beautiful project is a great plan that we can raise with the help and collaboration of all of us. I work for a department that has the task of carrying out administrative and judicial procedures to guarantee the rights of the best interest of the child and adolescent to live in a family. In the last years of my professional career as a lawyer I have dedicated part of my time to give smiles, to fill with beautiful dreams, faith and hope to children in a street situation or abandonment. Unfortunately, the situation in the country that is currently overwhelming us has caused this social problem to grow and to see children with these conditions more frequently. Some colleagues and I have plans for this coming month to make visits to children's shelters and hospitals to see the specific needs and in this way channel with institutions and companies, both private and public, supplies, medicines, food, clothes and toys. These requests will be made formally and directly. 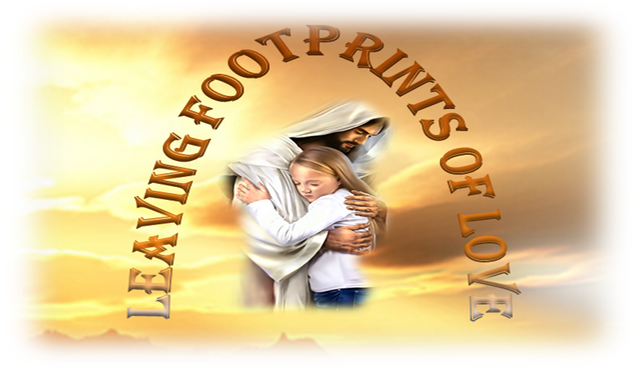 The projector "Leaving Traces of Love" will be present in every step we take, greetings to all and blessings. "And Jesus calling a child, put him in their midst"
"And he said: Truly I say to you, unless you turn and become like little children, you will not enter the kingdom of heaven"
"So, whoever humbles himself like this child, that is the greatest in the kingdom of heaven"
"And whoever receives a child like this in my name receives me"
"And whosoever shall cause one of these little ones to believe in me, it were better for him that a millstone were hanged about his neck, and that he were drowned in the depth of the sea." It is significant that Jesus frames our little ones who had left premortal life so recently to come to earth. Is that children, both then and now, are a blessing, awaken our love and encourage us to good works. "To embrace and promote Christianity in the chain of blocks, spreading the love of God and celebrating the beauty of its creation, building a supportive community and fighting against evil in whatever form it can take." To celebrate the mother, the father, the children and the family! Grow solidarity communities of faith and build effective Christian leaders. To give the best of ourselves as our gift to God. Greetings and welcome Yoraima, it is good to have you here, I know your great struggle and passion to help Venezuelans, you are welcome to SteemChurch, thank you for identifying with the vision of this church that seeks freedom and social welfare. Blessings and welcome! Thank you for the welcome friend Emilio, here a faithful servant and defender of the rights of children. 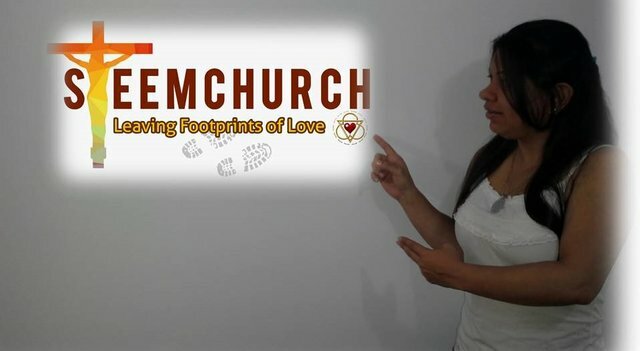 I am very excited to participate actively in the project "Leaving traces of love" and I will be supporting the community @steemchurch from this corner of struggle. I'm glad to hear that! Together we can do a lot.